I like Rob's K a whole lot better! Hmmm. I like 'em both. 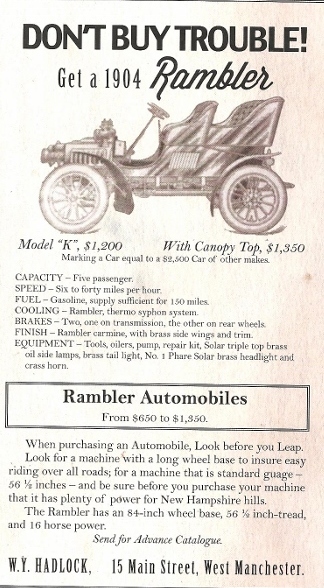 I see the canopy top was an additional $150.00 so that makes that a true OPEN car! The catalog illustration doesn't do it justice. 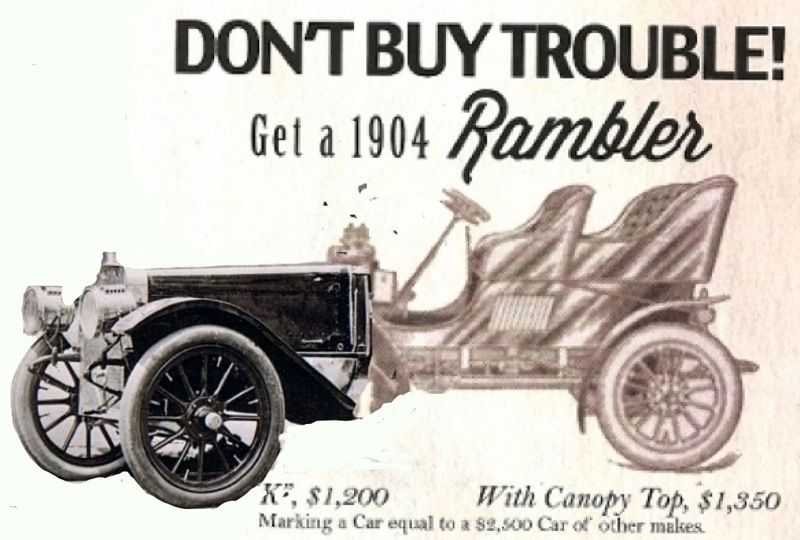 That Rambler is a stout machine. There probably isn't another 1904 car in that size class that is built as beefy.